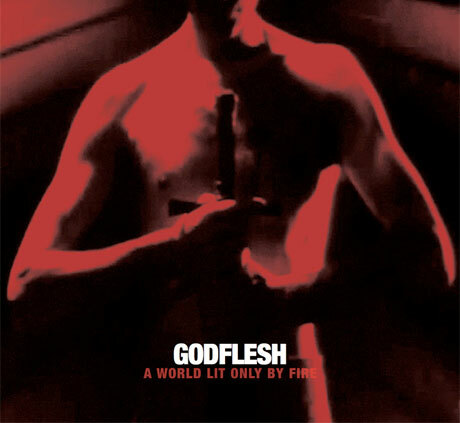 Next week, Justin K. Broadrick will fully resurrect his beloved industrial metal act Godflesh with the release of A World Lit Only by Fire, the duo's first new album in 13 years. Your patience has been rewarded, as you can now stream the LP in full. A press release promises that the album explores the divide "between high definition clarity and raw, visceral heaviness, inducing a meditative state via seething minimalism that hinges on ritualistic riff repetition and the tenuous membrane between anxiety-inducing dissonance and cathartic minor key melody." The album is said to draw on influences from both Broadrick and GC Green's other projects, though it's still very much a Godflesh record. Listen for yourself by streaming A World Lit Only by Fire in full below, courtesy of FACT. The album arrives on October 7 via Broadrick's own Avalanche Recordings imprint.